I have been wanting to write this post since my return from Puerto Rico in December. However, getting side tracked and then slipping into full blown Holiday Season, I had no time to put this together. Now, that all of that is behind me and most of you are escaping the winter cold by booking trips to tropical islands, this is even more urgent than before. So I present to you my tricks on keeping your skin from “wigging” out, while on vacation! We will take it from the flight out and all the way to your safe return back home. Do not leave your skin bare! Put some moisturizer, BB or CC cream, just to give your skin some protection from the recycled air. Airplane air is not only full of bacteria and germs, but it also dries out your skin like no other. I have seen people doing sheet masks while in flight, so if you are brave – more power to you! However, if you are looking for a more discreet way to hydrate, there are plenty of different options. 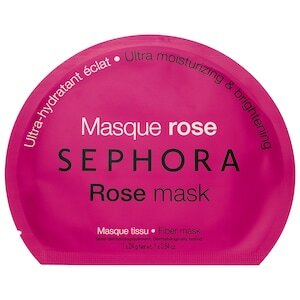 My favorite “go to” is the Sephora Sleeping mask, either in Rose or Lotus. I really like these because they are super affordable, small enough not to be badgered by the TSA and they do a great job! I am a fan of the Jelly Masks as well, for the same reasons aforementioned. 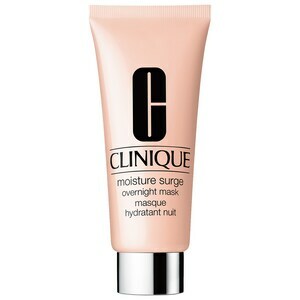 I also fancy Clinique’s Moisture Surge Overnight Mask. Great for hydration and you simply massage it into your skin and you are all set! Don’t forget to do this on your way there and back. As crazy as this sounds, once I check into the hotel room, I carve out 20-30 minutes and do a quick hydrating sheet mask. Even though it might sound like too much, it is not. Your other mask most certainly absorbed during your flight, and a little more hydration won’t hurt. You are kind of killing two birds with one stone. If you are unpacking, sheet mask will stay firmly on your face, and if you are laying down for a quick nap, all the more reasons to squeeze this in. 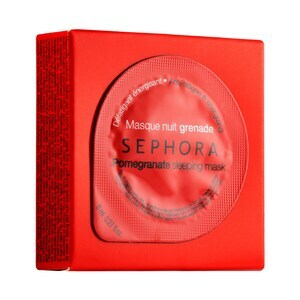 I like to go for Sephora’s Lotus Sheet Mask or E Choice’s 2 Stemp Ampoule Sheet Mask. Since you will be in tropical sun for a couple of days, all the moisture won’t hurt! Once you are out of your room, do not forget your moisturizer. Sun is everywhere and even if you are not directly laying out, those rays will reach you regardless. So do not skimp out on that – EVER! I use my trusty Neutrogena Oil Free moisturizer, however as long as it has SPF, that is all that you really need. Aside from putting your moisturizer on, do not think that it is enough. When laying out in direct sun, you need more than the average 15 SPF that is provided by most moisturizers. My favorite so far has been Hawaiian Tropic Silk Hydration Face Lotion. Not only does it have sun screen capabilities, but it is also moisturizing, non greasy and oil free! Win Win! When on a tropical vacation, I tend to stay away from foundation, concealer or anything else of that sort. I keep my skin as bare as possible, with just a small amount of BB Cream with a tint. Mostly for moisture purposes and also to even out my skin just a little bit. Anything on top of that will just clog your pores and create problems for when you are back at home in cold weather. So keep it light and simple. I highly recommend using a light scrub when back from the beach AND at the end of the day. It is always a good idea to get those products out of your pores and let your skin rest a little bit. I am a huge supporter of Kate Somerville’s ExfoliKate. This scrub is very gentle and it leaves your skin feeling refreshed, smooth and glowing. When all scrubbed up and ready for bed either pop on a quick sheet mask, or apply an overnight moisturizing mask to soothe your face. You want to keep it hydrated as much as possible. Between the intense sun rays, salt water and chlorine, your face needs as much moisture as it can get. I recommend a nice deep moisturizing mask when you are back home. Sudden temperature change will give your skin a bit of a shock, but not to worry as you will be pretty ready for it! 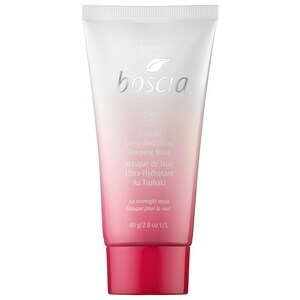 Give Tsubaki Deep Hydration Sleeping Mask by Boscia a try and let me know your thoughts.